Social networks are a key part of today’s selling process. But how do you get started? What are social selling best practices? How do you attract and build relationships with your buyers? Why do sales reps need social selling? What are the ground rules for social selling? How do you set up your social profiles to attract buyers? How do you write tweets and LinkedIn updates that will spark engagement? How do you find your buyers on social networks? 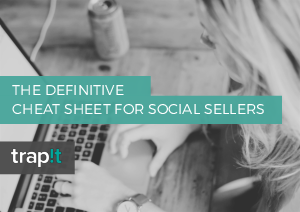 Download our Definitive Cheat Sheet for Social Sellers, and start engaging your buyers!